﻿ Light up your travels with Fireworks – Let Your Experiences Be the Difference! 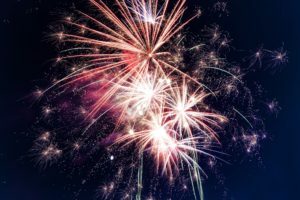 Bringing Fireworks to your Travels …. According to Wikipedia —- The earliest documentation of fireworks dates back to 9th-century medieval Chinese Tang Dynasty. The fireworks were used to accompany many festivities. The art and science of firework making has developed into an independent profession. In China, pyrotechnicians were respected for their knowledge of complex techniques in mounting firework displays.] Chinese people originally believed that the fireworks could expel evil spirits and bring about luck and happiness. 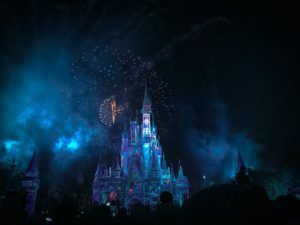 Disney is one my most favourite ways to view fireworks and light shows! Did you know Disney cruise ships have a special night and have a fireworks shows from the ship. They are the only cruise line to do this….! Let’s not forget Walt Disney World Florida , Disneyland California, DisneyLand Paris, Disneyland Tokyo. They have fireworks every night!! As I write this I would like to shout out to Celebrity Cruise Lines. June 27 2019 they have a 10 Night Canada New England Cruise. They will be in Halifax N.S. on June 1 – Canada Day. They are staying there over night in Halifax and this will give the opportunity to celebrate and participate in the Canada Celebrations….! On July 4th – Independence day, they will in Boston, Massachusetts. And again they will be in port over night. How amazing would this be to be able to participate and celebrate two countries. These will be fireworks shows like no other. So if you love fireworks and love Canada – this is a cruise to consider. So Come on and Let Your Experience be the Difference! Let your travels expand your mind, swell your heart and nourish your soul! ← The Perfect Pairing ! !